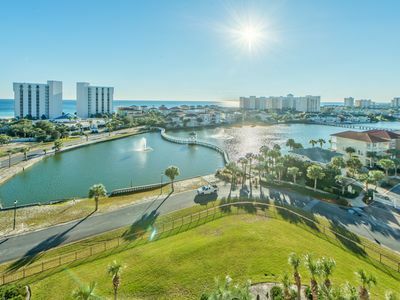 Welcome to your Summer Destination, Sandpiper Cove 2055. 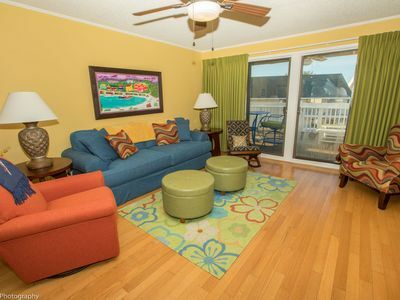 This bright & colorful one bedroom, one bath condo will be your new summertime oasis. 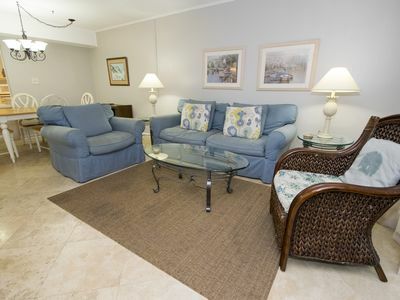 This 2nd floor condo can sleep 2 with ease. 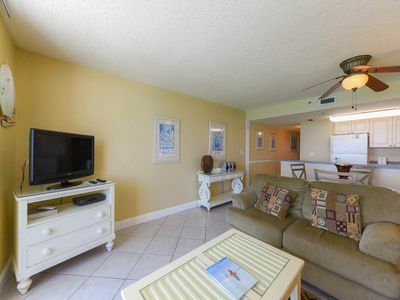 The kitchen is located on the left when you enter the condo. 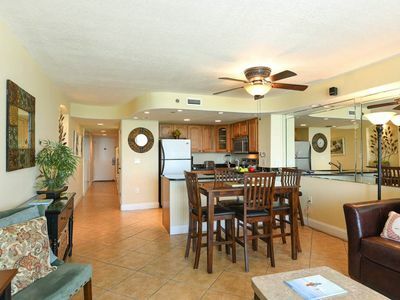 The kitchen is equipped with full size appliances & ample granite counterspace. 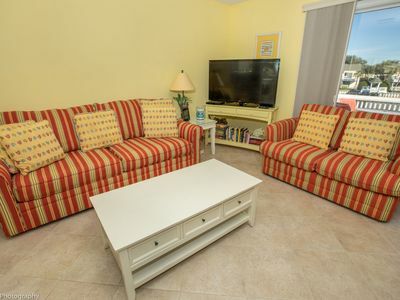 All dishes & cookware is in the condo and ready for your use to cook a quick bite before hitting one of the five on-site pools or the 9 hole 3-par on-site golf course. 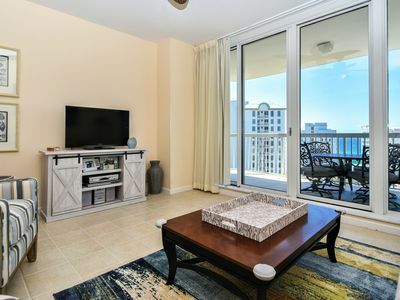 After spending a day on the beach you could also cook up an elegant feast, this condo also includes small appliances such as a blender. The living room offer plenty of comfortable seating options and a large flat screen TV to enjoy a Saturday football game or late night show. 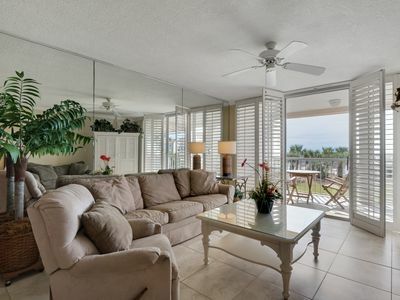 The balcony can be accessed via the large floor to ceiling doors. The balcony on 2055 is unique due to it's spacious size. 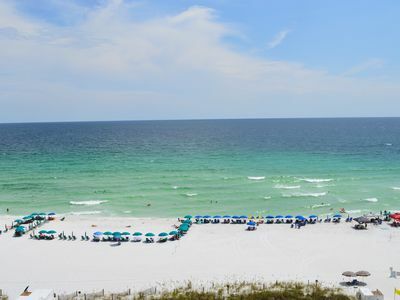 Enjoying your morning coffee on the balcony is a great way to start of each day of your vacation. The bedroom has a King size bed, flat screen TV, and ceiling fan. The bathroom features a combination tub/shower and there is a separate seating area to get ready as well. 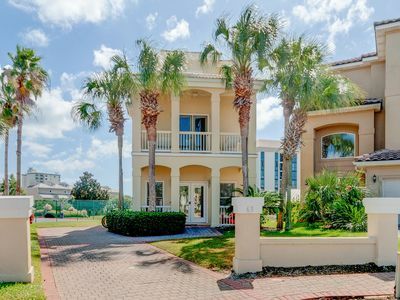 This condo is the perfect getaway for a couple and is only available for a limited time each year. 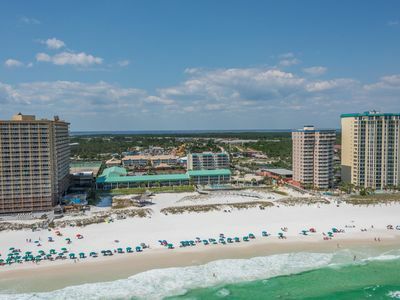 Make sure to book your stay today and see why everyone loves Destin! 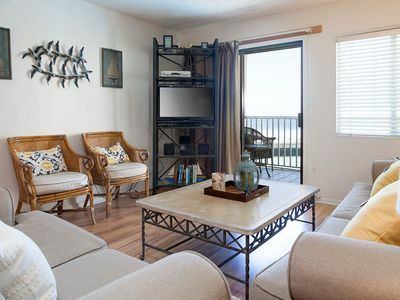 SunDestin 1407 - Book your spring getaway! 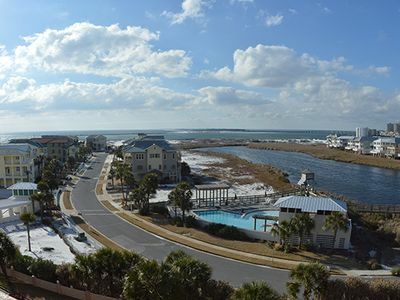 SunDestin 0805 - Book your spring getaway! 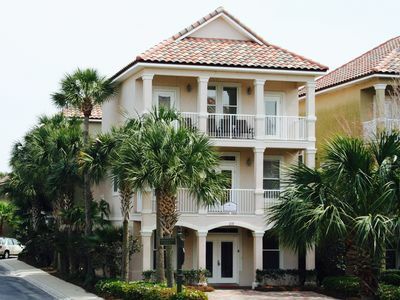 Magnolia House at Destin Pointe 111 - Act fast, for best spring availability. 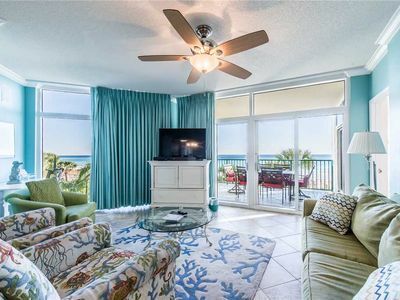 Luxurious 3 BR Beachfront Condo at Jade East! 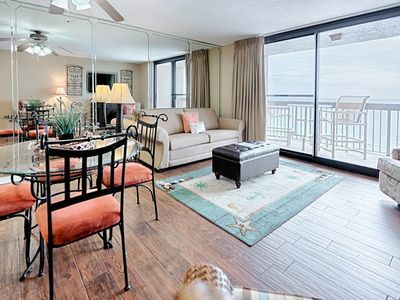 SunDestin 1603 - Book your spring getaway! 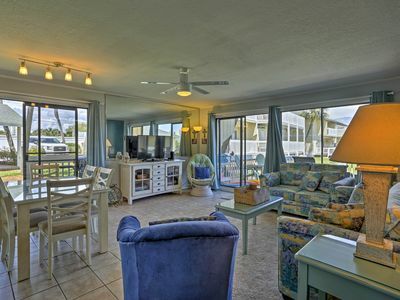 Shell Seeker: Beautiful 3BR, Patio, Pool, Beach! 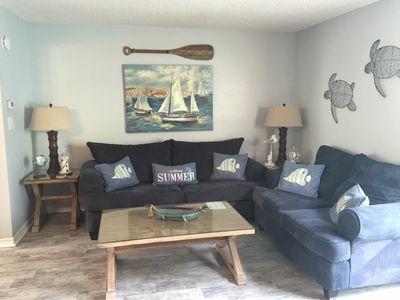 Summer Prices Just Reduced! 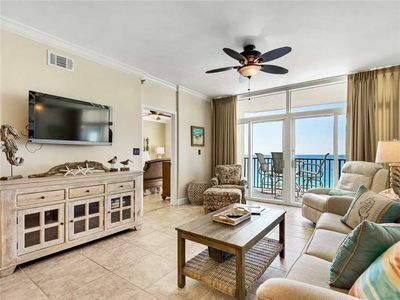 Destin Towers 9th Flr🌴🌴Remodeled Beachfront🌞🌞Awesome Gulf View⛵⛵Curved TV!!! 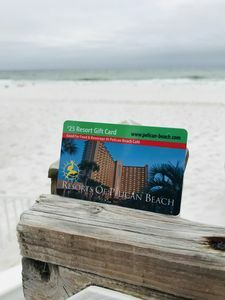 ON THE GULF! 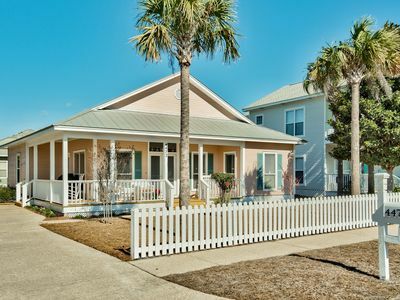 2 Bedroom GULF VIEW Located in the Heart of DESTIN!